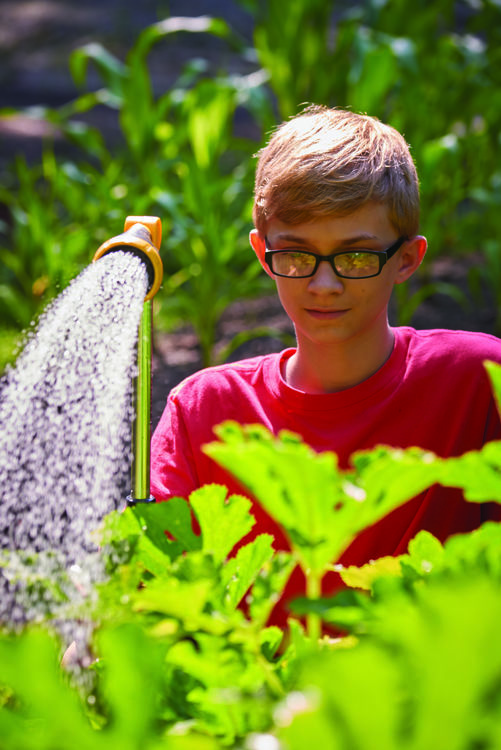 Planting and harvesting vegetables, growing herbs and flowers, and tending to chickens and egg collections are some opportunities the program provides. Campers construct habitats and learn the value of repurposing and composting materials. Campers participate in projects and learn transferable skills that can be used in their everyday lives. They gain a better understanding about the importance of their influence on the footprint of the environment and strengthen the connection they have with food and nature.